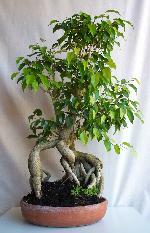 Winter is the time to put seeds to ground and start Bonsai from scratch. Here is my general plan on fungicide treatment in the baby phase. As temperatures in Perth are perfect for fungus growth and a bit cool for germination, seeds will take longer to germinate than in summer, but their survival rate is higher due to the cooler temperature and humidity. Buy some 'Mancozeb' or 'Fongarid' and a 500 mL spray bottle. Use a watering can for the first application of fungicide when you have planted your seeds and the spray bottle for application henceforth. Mix 1 teaspoon of fungicide per 10 Litre watering can. 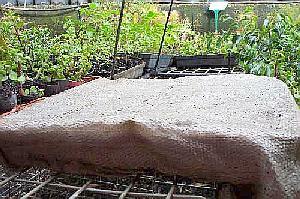 Water in your trays of seeds, cover with hessian or shadecloth and leave until seeds germinate. Protect from seed eating insects, snails and slaters. Sunshine is not necessary. 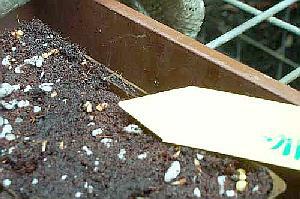 Seeds begin germinating between 1 and 6 weeks, perhaps longer for Pine. Mix 1 teaspoon of fungicide per 500 mL spray bottle. Make up perhaps 100 mL of this ie. a pinch of fungicide to 100 mL. Whatever you don't use will be thrown out onto the garden same day, as it does not keep. Spray seedlings with fungicide solution. Cover again and leave in a shady spot. 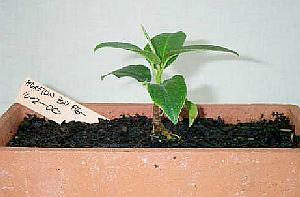 Seedlings are growing and have two leaves with the onset of the next generation of leaves. 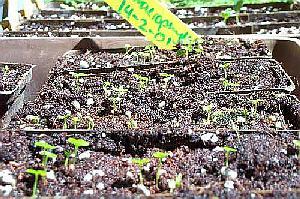 Move seedlings to a sheltered, sunny spot and remove cover. Protect from snails, insects, slaters, cats, dogs and birds. Continue fungicide treatment. 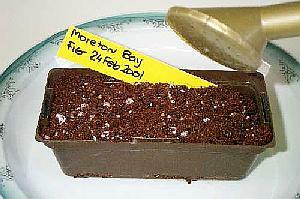 Start fertilising your seedlings. Mix up 1/4 teaspoon of Thrive per litre of water in a watering can or if you like, a spray bottle. Apply evenly and thoroughly. Repeat this process every fortnight. 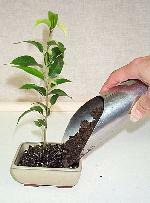 When seedlings have developed into little trees and are about 5 cm tall, consider repotting them into individual pots. This could be 12 months away. Fungi are the predominant killers of seedlings and are the reason why seedlings just seem to die, or seeds go mouldy. 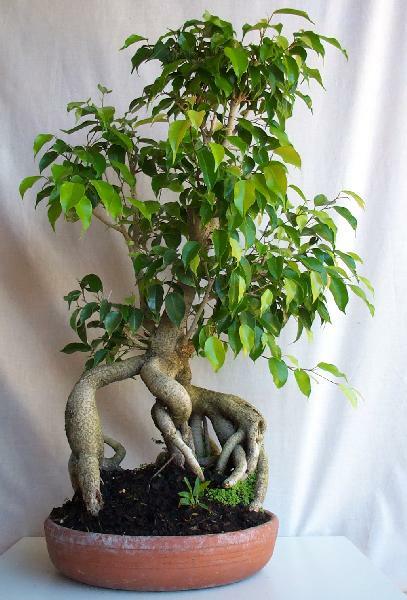 Treat the fungus and you're halfway down the line to success with your Bonsai. I’ll have some more hints for you soon - meantime, enjoy....!